Our all-new GarageBuy 3 for OS X is finally available from the Mac App Store, making it as efficient as never before to search eBay and bid on your favorite goods on eBay. 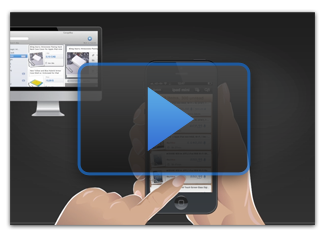 No matter if your are using GarageBuy on your Mac, your iPad, or your iPhone – you will always work with the same set of saved searches and viewed listings. You can now start reviewing your favorite eBay searches at home on your Mac, and pick up right where you left off with your iPad on your commute to work or school. Never look at the same listing again, wondering if you have seen it before! 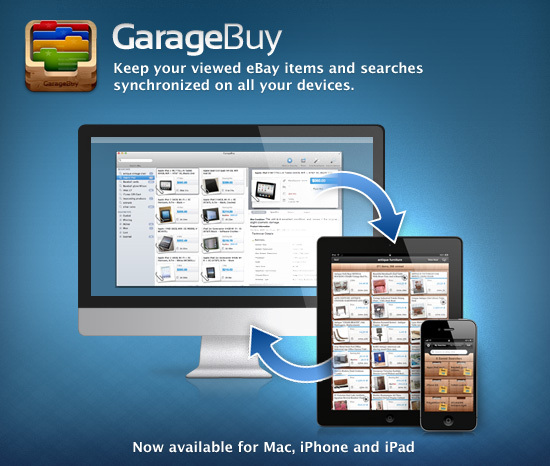 Uses iCloud to synchronize saved searches and viewed items with GarageBuy for iOS. GarageBuy is also available as a direct download from our website. Since this version doesn’t have access to iCloud, you have to pair it manually once with the version on your iPod or iPhone. This entry was posted on Thursday, February 14th, 2013 at 11:33 am	and is filed under GarageBuy. You can follow any responses to this entry through the RSS 2.0 feed. Both comments and pings are currently closed.